Yosemite Valley deserves a chapter of its own because it is one of the world's special places, with an interesting geologic story as well as an interesting human history. This chapter summarizes the development of ideas about the origin of Yosemite Valley and provides an example of how science progresses by the accumulation of knowledge by many different people. Because they aid historical understanding, some quotes are included even though they contain statements that are outdated; beware of taking quotes out of context. Yosemite Valley is famous for its beauty, and tourism has thrived there since nonnatives "discovered" it in 1851 (fig. 30). What makes Yosemite Valley special is the pleasing juxtaposition of cliffs, waterfalls, and domes with a flat valley floor over which a lovely river meanders through wood and meadow. Visitors are naturally curious about the origin of such a magnificent place. Figure 30. Yosemite Valley, looking east. The flat, forested, floor of the valley was formed by in-filling of a lake. Thick lake sediments mask the U-shape of the glacial valley. Efforts to understand the origin of Yosemite Valley began in the 1860s with study by the California Geological Survey. In the 1870s the origin of the valley became the subject of a dispute, sometimes bitter, known as the "Yosemite Problem" or the "Yosemite Controversy." At first, debate centered upon the competing roles of faulting, advocated by Josiah D. Whitney, and glacial erosion, advocated by John Muir. Later study and debate concerned the relative importance of erosion by glacier and by river. In 1913 the U.S. Geological Survey assigned François Matthes the task of determining the valley's origin. Upon publication in 1930 his work was well received, and it ended the Yosemite Controversy. Knowledge gained since 1930 requires modification of some of Matthes's work, and these new ideas are briefly presented in this chapter. Finally a summary of the geologic development of Yosemite Valley is given. Josiah D. Whitney thought Yosemite Valley was formed by down-dropping of a large block of rock between faults, and that glaciers were of no importance at all. This hypothesis had little evidence to support it, but it is interesting to examine as an example of how appearances can deceive. Figure 31. The Merced River in Yosemite Valley meanders on the nearly flat surface of in-filled Lake Yosemite. We conceive that, during the process of upheaval of the Sierra or, possibly at some time after that had taken place, there was at the Yosemite a subsidence of a limited area, marked by lines of "fault" or fissures crossing each other somewhat nearly at right angles. In other and more simple language, the bottom of the Valley sank down to an unknown depth. . . .
Lake Tahoe and the valley which it partly occupies we conceive also to be, like the Yosemite, the result of local subsidence. Clarence King, who was familiar with glacial features in Yosemite Valley, thought Whitney was right, as did the prominent geologists Israel C. Russell and Andrew Lawson, who, from studies elsewhere in the Sierra, had concluded that glaciers did little eroding of the valleys through which they flowed. Writing about the lake, Whitney came close to grasping an important point that, if understood, might have caused him to recognize that glaciers were important in creating Yosemite Valley, thereby avoiding the Yosemite Problem, and might have caused history to be kinder to him. But nature tricked Whitney, as illustrated by figure 32. Thick lake deposits obscure an important part of the glacial evidence, the bottom of the U-shaped valley. What is left to be seen of the U, together with the flat valley floor formed by the lake deposits, is a good imitation of a down-dropped fault block, or graben. If lake sediments were not present, the U-shape of the underlying bedrock would be visible, as in many other Sierra valleys, Yosemite Valley would not resemble a graben, and Whitney would probably have recognized the importance of glaciers in its development. Figure 32. A. In basic surface form, Yosemite Valley resembles a fault-block basin, or graben, more than it does a glacial valley. B. Beneath the thick lake sediments is the rest of a U-shaped glacial valley, not a block of rock that has dropped down between faults. But how did Whitney miss other signs that point to the importance of glaciers? After all, is not Yosemite the finest example of a glacial valley anywhere? No, it is not, and this is a surprise for many people. There is much to praise about Yosemite Valley, but to praise it, as has been done, as a "sublime monument to glaciers" or as "nature's textbook on glacial erosion" is misleading. Many valleys in the Sierra Nevada display more characteristic glacial features than Yosemite Valley does. Yosemite abounds in unusual landforms, features not at all typical of glaciated valleys but which are more conspicuous than the glacial landforms present. The steep cliffs and somewhat straight, open valley are of glacier origin, but they are not uniquely so, because other geologic processes create similar features. Moraines and small areas of glacial polish are present but are not prominent, and most visitors neither notice nor photograph them. By contrast, the outstanding landforms of Yosemite Valley, the trademark features that are photographed, gawked at, climbed on, painted, hiked to, admired, and that adorn T-shirts, book covers, and corporate logos are neither characteristic of, nor unique to, glacial erosion. Half Dome owes its special form to weathering, exfoliation, and a vertical joint. North Dome and Sentinel Dome formed by weathering and exfoliation, not glacial erosion. El Capitan is the imposing monument it is because the rock of which it is composed has few joints; its near-verticality is in part attributable to glacial erosion, but imposing cliffs are not unique to glacier erosion. Distinctive forms such as Royal Arches, Washington Column, and Three Brothers were shaped by jointing of diverse orientation and form, plus removal of rock by rockfall or glacier plucking, and it is not clear which process removed any given block of rock. The flat valley floor was produced by in-filling of a lake; yes, the lake was of glacial origin, but, once again, such features are not unique to glaciated areas. What is surprising is not that Whitney failed to see the hand of glaciers, but that Muir and others did! Up the Yosemite gorge, which opened straight before me, I knew that another great glacier had flowed; and also that the valley of the Illilouette and the Little Yosemite had been the bed of rivers of ice; a study, too, of the markings upon the glacier cliff above Hutching's house, had convinced me that a glacier no less than a thousand feet deep had flowed through the valley, occupying its entire bottom. King did not have opportunity to follow up on his early study of Yosemite Valley. "Tophet" refers to a shrine near Jerusalem where human sacrifice was once practiced. Lack of an academic degree was no handicap to Muir; he was a formidable opponent to Whitney and the better writer, one who was later amazed that publishers would pay him money for his writings about Yosemite and the High Sierra. Cleavage is what, today, we call joints (fig. 33). Joints are fractures in rock produced by stress, such as occurs during uplift of a mountain range, release of pressure after removal of overlying rock, or cooling of a lava flow. Joints hasten destruction of rock by permitting entry of water, air, and acids from decomposing vegetation. In his article "Mountain Sculpture," Muir shows that he understood the importance of joints in erosion, though he often single-mindedly went ahead and stressed glaciers to the exclusion of other geologic factors (Colby, 1950). Muir traced the pathway of glaciers that converged on Yosemite Valley: They number five, and may well be called Yosemite glaciers, since they were the agents by which beauty-loving nature created the grand valley, grinding and fashioning it out of the solid flank of the range, block by block, particle by particle, with sublime deliberation and repose. The names I have given them are, beginning with the northmost, Yosemite Creek, Hoffman, Tenaya, South Lyell, and Illillouette [sic] Glaciers. They all converged in admirable poise around from north-east to south-east, welding themselves together into one huge trunk which swept down through the valley, filling it brimful from end to end, receiving small tributaries on its way from the Indian, Sentinel, and Pohono Cañons; and at length flowed out of the valley, and on down the range, in a general westerly direction. Most historical accounts present Whitney unfavorably because he was wrong about the origin of Yosemite Valley and ill-mannered and arrogant toward John Muir, a popular underdog. The two men differed in all respects. Whitney was a professional geologist, graduate of a fine university, a respected scientist, and a responsible state geologist. Muir was a good-hearted vagabond, a nature lover, not a geologist or even a college graduate, and he did not claim to be a professional scientist. Whitney spent much time and energy managing a survey and fighting with the state legislature for its survival, while Muir lived carefree in Yosemite Valley, observing and thinking about the valley every day. A century later we would have said Whitney was establishment and Muir was a hippie. That such a person might challenge his geologic ideas, and be successful in so doing, infuriated Whitney. Frustrated and hurt by the popularity of Muir and his eroding ice, Whitney wrote harshly and condescendingly about him, calling him an "ignorant sheepherder" with "absurd" ideas, among other things. In his zeal to combat the glacier menace he even repudiated his friend Clarence King and his own earlier writing by denying that ice had ever occupied Yosemite Valley! A myth has developed to the effect that Whitney was a pompous windbag who did nothing right while Muir was a neat guy who did nothing wrong. This is unfortunate and unfair. Whitney made major contributions to understanding Yosemite, the Sierra Nevada, and California, and he played an important role in getting Yosemite Valley preserved as public land. He had reason to hypothesize faulting in Yosemite Valley and the Tahoe Basin, was right about Tahoe, and correctly maintained that Muir had some wrong ideas about glaciers, though this latter fact is often discreetly overlooked. It does not detract from Muir for us to treat Whitney with more respect. The accepted version of the origin of Yosemite Valley gives somewhat equal importance to river and glacier in deepening the valley, while glacier erosion is regarded as the primary agent for widening the valley and creating the steep cliffs. In large measure, though not completely, it supports the ideas of John Muir. In 1930 the United States Geological Survey published Professional Paper 160, Geologic History of the Yosemite Valley, based on years of field study by François Matthes and others. This well-written and illustrated work has many fine photographs and drawings that have been reproduced in hundreds of publications throughout the world. It is out of print, which is regrettable even though some aspects of the book are out of date. Muir, on his part, went too far in his claims for glacial erosion.... He maintained that the Yosemite and, indeed, all the great canyons of the range, thousands of feet in depth, had been gouged out entirely by the glaciers. The new ideas were mostly those of William Morris Davis, often regarded as the founder of geomorphology. Armed with a good map, new ideas, and lots of time, Matthes took to the field. These numerical estimates are not as highly regarded today as they were in 1930, but the important conclusion endures: that river and glacier made somewhat equal contributions to the depth of Yosemite Valley. How Matthes estimated the amount of downcutting done by the Merced River prior to glaciation is an interesting application of the geomorphic ideas of William Morris Davis. Even though the methodology is imperfect and based on some questionable assumptions, it will be summarized here because it is enlightening and of historic interest. As the Sierra Nevada was being uplifted during millions of years prior to the Ice Age it was also tilting down to the west. In response, the Merced River deepened its valley, and did so faster than its tributary streams could, because, first, it was the larger stream and, second, it flowed west down the increasing slope of the range while most tributaries flowed north or south and were not directly invigorated by the westerly tilting. Matthes, following Davis, believed that mountain ranges were typically uplifted in jerks, with short periods of relatively rapid uplift followed by longer periods of stability. After each uplift the Merced River (supposedly) cut down to a new level of equilibrium, or baselevel, and a new landscape developed. The less powerful tributaries, unable to keep up with the rapid downcutting of the Merced, were left "hanging" above the master stream (fig. 36). The old slopes of the hanging tributaries still "point" to the former elevations of the Merced River (fig. 37). Figure 36. The valley of Bridalveil Creek "hangs" several hundred feet above the Merced River and the floor of Yosemite Valley, creating Bridalveil Fall. By drawing profiles of numerous tributaries, Matthes re-created steps in the downcutting of the Merced River, as shown in figure 38. He named the reconstructed landscapes the "Broad-Valley," the "Mountain-Valley," and the "Canyon" Stages, each landscape supposedly being formed during a period of stability between uplifts. Matthes spoke of the Merced River as having a "three-story" profile, illustrated in his "Canyon Stage" of figure 38: each story, or form, corresponds (Matthes believed) to a single uplift and subsequent erosional episode. The erosion surfaces in the vicinity of Mount Whitney (chapter 3) appear to support this part of Matthes's work, but the support may not be valid, as will be explained later. What makes Yosemite Valley special is its width, not its depth, which though striking is not exceptional. Matthes attributed virtually all of the widening of the valley to glacial erosion. Where a glacier flows through a former river valley it usually widens and straightens the valley. Ice erodes both the sides and the bottom of a valley, whereas a river only erodes the bottom. This is why river valleys are commonly V-shaped in profile while glaciated valleys are commonly U-shaped and have steep valley walls. Also, ice is more viscous than water and does not flow around bends as well, so erosion is concentrated on bends and the valley becomes straighter and more open. The width and the steepness of the cliffs of Yosemite Valley, though especially well developed, are consistent with the character of glaciated river valleys elsewhere. Dozens of valleys in the Sierra Nevada have been widened by glaciers. John Muir wrote and spoke of "yosemites" as a generic feature and argued that similar valleys were eroded wherever tributary glaciers joined to form trunk glaciers. He wrote, for example, of the "Kings River Yosemite" and the "Tuolumne Yosemite" (Hetch Hetchy Valley). But with all respect to Muir, millions of tourists each year vote with their feet and pocketbooks as they insist that there is only one Yosemite. The widening of Yosemite Valley by ice is a common process done exceptionally well. Why this is so is explained in the next section. Explanation is in order. While it is often said that the Sierra Nevada is composed largely of granite, the statement is technically incorrect; here is why. Granite is a coarsely crystalline igneous rock with a significant amount of the minerals quartz and potassium feldspar. A similar rock with less of these two minerals and more of the mineral plagioclase is named granodiorite, or what Matthes called monzonite, even though these rocks still resemble granite in appearance. Rock with essentially no quartz or potassium feldspar is named diorite or gabbro—the so-called "basic" rocks—in contrast to the "siliceous" rocks, granite and granodiorite. The basic rocks are dark in color and rather different in appearance from the lighter-colored siliceous rocks. As it happens, there is more granodiorite and other siliceous rocks in the Sierra than there is "true" granite. But to write and speak simply, all these light-colored, crystalline rocks are often referred to as granite to distinguish them from the dark-colored, crystalline basic rocks and the multicolored metamorphic rocks. Today it is common to speak and write of "granitic rocks," including those similar in appearance to granite though not necessarily granite in the strict sense. What do these somewhat technical distinctions have to do with Yosemite Valley? Matthes says that compared to granitic rock, basic rock is more jointed, weathers more rapidly, and so is more easily eroded by glaciers. The local abundance of basic rock enabled the Yosemite Glaciers to be effective. If basic rock had not been there, the area would consist of "unbroken" granitic rock, glacial erosion would have been less effective, and Yosemite Valley might now resemble nearby Tenaya Canyon (fig. 39) rather than the wide, open, flat-floored valley we regard as special. Figure 39. Despite the fact that large glaciers flowed through it several times, part of Tenaya Canyon is narrow and V-shaped, very different from Yosemite Valley just a few miles downstream. Lack of joints in the granitic rock prevented the glacier from widening the canyon here. Studies of the bedrock in the Yosemite area were done by a colleague of Matthes, F. C. Calkins, who contributed a major section to Professional Paper 160. 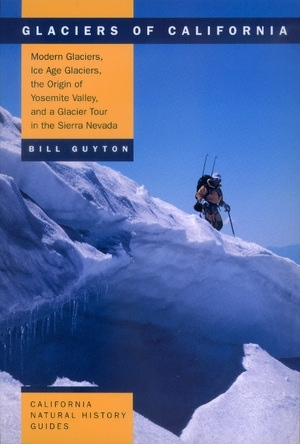 Huber presents a modern discussion of the bedrock of Yosemite National Park and explains how meanings of some rock names have changed over the years (1987). Glaciers occupied Yosemite Valley at least three times, and after each retreat a lake probably formed in the valley. Each lake was soon filled with gravel, sand, and mud from the retreating glaciers, the re-forming Merced River, and Tenaya Creek. Matthes named the lake that formed after the most recent glaciation Lake Yosemite. To the camper who pitches his tent in one of the Yosemite's shady groves it may not occur, perhaps, that the spot he has selected for his temporary abode once lay in the midst of a mountain lake of exceptional beauty—a sheet of water in which the cliffs of El Capitan and Half Dome as well as the sprays of the Yosemite Falls were reflected. Yet there can be no doubt that the present embowered, parklike floor of the valley replaces such a body of water. ... [T]he lake owed its existence not to the moraine dam alone; it occupied an elongated basin scooped out in the rock floor of the valley by the ancient Yosemite Glacier, and its depth was merely increased somewhat by the moraine dam which was situated on a broad rock sill at the lower end of the basin. The last Yosemite Glacier, of Tioga age, was not as large as that of at least one earlier glaciation and did not erode to bedrock. Lake Yosemite was probably smaller and less deep than Matthes believed, though the total sum of river and lake deposits in Yosemite Valley is now known to be greater than he imagined. Matthes identified the final event in the evolution of Yosemite Valley as a period of "dismantling." Dismantling refers to significant changes that the cliffs of Yosemite Valley have experienced since they were last eroded by a glacier (fig. 40). The dominant means of dismantling is rockfall, which can be caused by water freezing in joints, by earthquake shaking, or by the undramatic process of weathering. The Owens Valley earthquake of 1872 produced numerous rockfalls in Yosemite Valley that were witnessed by John Muir. Figure 40. Royal Arches and Washington Column. Most details of Yosemite cliffs reflect the spacing and shape of joints in the granitic rock and are not unique to erosion by glaciers. The fatal rockfall from Glacier Point in July 1996 is but the most recent of many such events that have occurred, and that will continue to occur for many millennia. So long as large numbers of people live and camp in Yosemite Valley there is potential for great loss of life and injury from a really big rockfall. Such a threat might justify removal of cabins, stores, and campgrounds from the valley, as was done in Lassen Volcanic National Park when it was recognized that a large campground, cabins, and the visitor center were built on old rock-slide debris of considerable dimension. Dismantling has created a difference in appearance between Hetch Hetchy Valley and Yosemite Valley. Hetch Hetchy, on the Tuolumne River 18 miles northwest of Yosemite Valley, was one of Muir's beloved "yosemites" before it was dammed and turned into a reservoir in 1923. There was a flat valley floor, waterfall, and steep cliffs, reminiscent of Yosemite Valley. John Muir and the Sierra Club fought hard to prevent the dam, but lost. Some people believe that losing Hetch Hetchy broke Muir's heart and shortened his life. It should be emphasized that Yosemite Valley has been glaciated since the Sherwin advance but has not been filled with ice since that time. Filled is the key word, for only then could ice shape the walls significantly. The overall shape of Yosemite's cliffs is of glacier origin but their present appearance in detail mostly is not. François Matthes showed that Yosemite Valley is the combined result of erosion by the Merced River and glaciers of various ages. This conclusion remains the accepted version of the origin of Yosemite Valley, but we have learned things since 1930 that require modification of some of Matthes's work. The upper layer with a maximum thickness of about 150 m extends from Mirror Lake to the Wisconsin end moraines near Bridalveil Meadow....The intermediate and basal layers have maximum thicknesses of 220 and 300 m respectively, and the intermediate layer lies in a U-shaped trough seemingly gouged out of the basal layer. Both layers are thought to be remnants of earlier lake fillings, and at least the basal layer is pre-Wisconsin. The greatest thickness of fill, about 600 m, is near the head of the valley between Ahwahnee Hotel and Camp Curry. Modification number two: The old landscapes that Matthes re-created may not have formed as he imagined. As described in chapter 3, Andrew Lawson identified several erosion surfaces in the vicinity of Mount Whitney that he thought marked erosion-to-baselevel during periods of stability that interrupted the uplift of the Sierra Nevada. The old landscapes named by Matthes in the Yosemite area—Broad Valley, Mountain Valley, Canyon—follow this lead. But Clyde Wahrhaftig of the University of California at Berkeley gives reason to suspect that some or all of these old erosion surfaces formed not at a baselevel reached by erosion during a period of stability but behind massive granitic outcrops that do not weather so rapidly as other rock. [A] bench, summit flat, or nickpoint can develop in granitic terrane at any altitude at any time. The only requirement is the appearance of solid granitic outcrops to act as local base levels. Once formed, these summit flats are long-persisting and may accumulate ephemeral alluvial deposits at any time after their origin. Other evidence must be used to establish that granitic terranes were once nearly graded plains close to sea level. Modification number three: An assumption of William Morris Davis's that Matthes followed is no longer well regarded by geomorphologists. This is the idea that mountain ranges commonly, or normally, undergo short episodes of uplift followed by long periods of stability during which rivers may erode to baselevel before another uplift begins. In particular, it was not the case with the Sierra Nevada, as is shown by studies by N. King Huber, author of a recent book about the geology of Yosemite National Park (Huber, 1987). This book is written in non-technical language and is beautifully illustrated. The scope of the book is more than glaciers and Yosemite Valley, and it is a good summary of the rocks and geologic history of Yosemite Park. Huber writes about uplift of the Sierra Nevada during the last 25 million years. Modification number four: As described previously, Matthes believed that local abundance of highly jointed basic rock (diorite and gabbro) permitted glaciers to be effective at erosion at Yosemite Valley. Huber points out that most all of the basic rock present in Yosemite Valley is fine grained, rather than coarse grained, and that abundant joints are associated with fine-grained rocks of whatever mineral composition, granitic or basic. The geologic story of Yosemite Valley began about 25 million years ago, as slow uplift and westward tilting of the Sierra Nevada enabled the Merced River to erode a valley into the broad western flank of the range. Continued uplift, tilting, and river erosion resulted in an increasingly deep valley, perhaps 2,000 feet below the divides between river valleys. About 1.5 million years ago the Sierra Nevada was high enough, and the climate was suitable, for glaciers to form. At least three times—probably more—glaciers formed along the Sierra crest and flowed along two or more paths into Yosemite Valley to form a trunk glacier. The several Yosemite glaciers widened, straightened, and deepened the river valley into a U-shaped glacial valley with many near-vertical cliffs. Rock with many closely spaced joints was exploited by the glaciers to give the valley its width and depth. Massive rock with few joints endured to form steep, bold cliffs. The most extensive glaciation of which we know (Sherwin) occurred about a million years ago. During this time the maximum depth of glacial erosion was achieved at the east end of Yosemite Valley, and ice completely filled the valley and spilled over the surrounding upland, as at Glacier Point, for example. Widening and deepening of the valley by this largest of Yosemite glaciers produced oversteepened valley walls and hanging valleys where small tributary ice streams could not keep pace. Retreat of this glacier probably left waterfalls and a large, deep, lake that became in-filled with river-transported sediment, burying the lower part of the U-shaped glacial valley. A Yosemite Glacier re-formed at least twice since then but never again became nearly so large as that of a million years ago. The most recent glaciation was at a maximum only about 20,000 years ago, but the glacier was not very large. The ice extended only as far as Bridalveil Meadow and did not erode high on the valley walls. Retreat of this last glacier left moraines; Lake Yosemite; and waterfalls at hanging valleys, such as Yosemite Falls and Bridalveil Fall; and at glacial steps, such as Vernal Fall and Nevada Fall. Moraines and waterfalls remain, but Lake Yosemite was filled with river-borne sediment to form the nearly flat valley floor on which the Merced River meanders today. During all of this history slow uplift of the Sierra Nevada continued, punctuated by occasional earthquakes that caused rockfalls from the glacially oversteepened walls of Yosemite Valley. Rockfalls continue to fashion cliff details, such as the Royal Arches, as they have done since glacier ice last completely filled the valley, about 1 million years ago. One rockfall created Mirror Lake, now mostly filled in, at the east end of the valley. The rockfall of July 1996 and the flooding of the Merced River in January 1997, so destructive of human "improvements," show that powerful geologic forces remain at large and continue the long evolution of Yosemite Valley. Colby, William F. 1950. John Muir's studies in the Sierra. San Francisco: Sierra Club. Gutenberg, B., J. P. Buwalda, and R. P. Sharp. 1956. Seismic exploration on the floor of Yosemite Valley, California. Geol. Soc. of Amer. Bull. 67: 1051-78. _____. 1990. The late Cenozoic evolution of the Tuolumne River, central Sierra Nevada, California. Geol. Soc. of Amer. Bull. 102: 102-15. King, Clarence. 1872. Mountaineering in the Sierra Nevada. Boston: James R. Osgood and Co.
LeConte, Joseph. 1870; revised 1900 1971. A journal of ramblings through the High Sierra of California. Reprint, New York: Sierra Club/Ballantine Books. Matthes, François E. 1930. Geologic history of the Yosemite Valley. U.S. Geol. Survey Prof. Paper 160. _____. 1938. John Muir and the glacial theory of Yosemite. Sierra Club Bull. 23: 9-10. Muir, John. 1880. Ancient glaciers of the Sierra, California. Californian 2: 550-57. Wahrhaftig, Clyde. 1965. Stepped topography of the southern Sierra Nevada, California. Geol. Soc. of Amer. Bull. 76: 1165-90. Whitney, J. D. 1865. The High Sierra. Chap. 10 in Report of progress, and synopsis of field work from 1860 to 1864. Vol. 1 of Geology. Philadelphia: Geol. Survey of California. _____. 1868. The Yosemite book. Geological survey of california. New York: Julius Bien. Glaciers in sunny California? Many people will be surprised to learn that there are several hundred in this state, ranging in size from the impressive Whitney Glacier on Mt. Shasta and the Palisade Glacier in the Sierra Nevada to tiny glacierets. While California's glaciers are small compared to those in the northern Rockies or the European Alps, each one is interesting and some are suitable for exploring. Also of note is the fact that Ice Age glaciers carved California's most spectacular mountain scenery—the High Sierra was glaciated several times and glacial landforms are prominent features of the Sierran landscape today. Bill Guyton summarizes the history of the discovery of Ice Age glaciation and modern-day glaciers in California, as well as the development of modern ideas about the state's glacial history. He describes the controversy about the origin of Yosemite Valley and quotes from the colorful accounts of early mountain explorers such as John Muir, Josiah Whitney, and François Matthes. His book provides a primer on glaciers and glacial landforms, a glossary of technical terms, helpful illustrations, and a 100-mile Sierra field trip guide for readers who want to see glaciers and glacial features for themselves. Glaciers of California will make any visit to the mountains more interesting, whether one is carrying a camera, crampons, or a fishing pole. Bill Guyton is Professor Emeritus of Geosciences at California State University at Chico. He has hiked, backpacked, fished, and climbed in the High Sierra for over 45 years.